Choosing a martial arts school is and should be a serious decision. The early childhood and adolescent years are a vitally important time for healthy mental and physical development. Our well-run program will help your child in their growth and character development by focusing on learning to make good decisions in our fast-paced and distracted world. At Hansoo, our professional approach to teaching provides an important reinforcement to a parent’s guidance along with essential life lessons. Our Adult program allows adults of any age who have always had curiosity about the martial arts to experience a Taekwondo training program that offers a comprehensive regimen of technical and practical skills blended with the traditional Taekwondo practices. 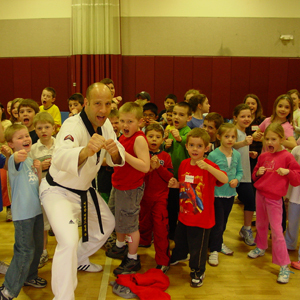 In addition to the basic elements of self-control, discipline, focus and respect that any quality martial arts program should offer, our young children’s program teaches and promotes good decision making, positive disposition and attitude, and leadership. 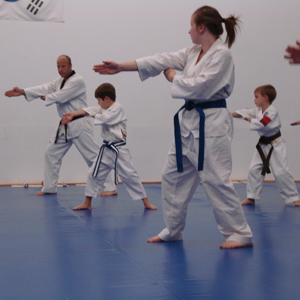 At Hansoo Taekwondo we provide classes where parents and children can train together. Hansoo Taekwondo offers the unique opportunity for parents to train along with their children in specific classes and establish a lasting connection on a new level. We have many families currently involved in this program. Our specialized TKD for Autism Spectrum Disorders Program has been empowering children on the Autism spectrum for over 6 years with incredible results! Through our unique approach to relating to each student individually, these specialized classes are geared towards the specific learning style of children with Autism Spectrum Disorders. 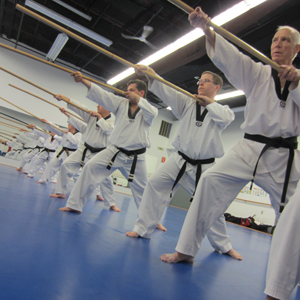 Our Taekwondo training camp is an all-day event that is one of the highlights of the year. 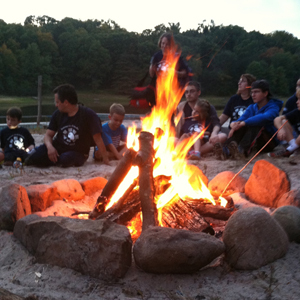 Students and parents alike look forward to wilderness training and team building in the beautiful outdoors! We hold an Annual Invitational Tournament to test the skills of Taekwondo practitioners in Board breaking, traditional Poomse and in Competition sparring. Medals are awarded for Gold, Silver and Bronze winners. 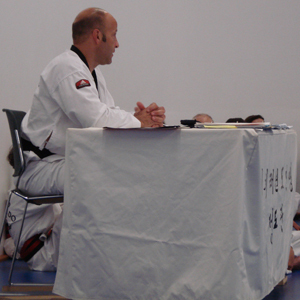 Potential and aspiring Black Belt students able to assist in classes and propertly guide other students are included in workshops to improve teaching and student guiding skills. 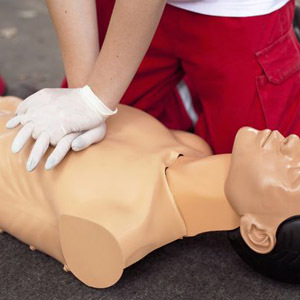 We peridocally offer CPR training for assisting instructors. Master Chasse has been offering Self-defense workshops to the community for over 18 years. He contributes to schools, corporations, Women’s groups, and civic organizations such as CTAHPERD (Connecticut Assoc. of Health, Physical Education, Recreation and Dance, Eastern District Assoc. (AAPHERD), ESPN, Pratt & Whitney Aircraft, Glastonbury Public Schools, Boy Scouts, Girl Scouts, Mothers/Daughters Group, Jaycees, Civil Preparedness of Glastonbury – Manchester and Vernon, Healthtrax Fitness and Wellness Centers and the University of Connecticut. Please contact us for more information on our next workshop or to organize a workshop for your group. Hansoo Taekwondo offers various Meditation workshops and seminars teaching meditation and stress reduction techniques. 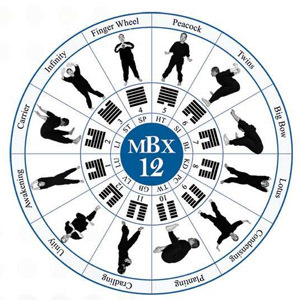 We now offer the highly acclaimed MBX-12 Mindful Movement Meditation techniques designed and created by the world renowned Dr. Sang H. Kim. Please contact us for more information on our next workshop or to organize a workshop for your group. Taekwondo has taught me many things. It has taught me to be healthy, serious, and most of all respectful. Daily training has made me active and prepared. Not only that, at Hansoo TaeKwonDo, I feel as if I am part of a community, or something bigger. And I am. Having Master Chasse as an instructor is a great and hard working experience. I have had the opportunity to have two classes where I worked one on one class with Master Chasse. I was extremely lucky to be taught with him by myself. He is an inspirational person who helps people with problems they may not be able to fix alone. Master Chasse quickly analyzes people’s troubles and helps them improve. For instance he has helped me improve my posture, attitude, good manners and overall level of skill. Master Chasse’s guidance can help you recognize noticeable improvements in form and technique. People can always look up to Master Chasse for help and inspiration. Over the 18 months my son has participated in the program, not only has his strength and overall physical condition significantly improved, his tactile sensitivity has diminished (he can tolerate his feet being bare), and some of his repetitive behaviors have diminished as well. The structured progression of TKD really appeals to his need for order and the mental challenges are exciting for him to master. The desire to live up to Master Chasse’s expectations have also led to improved focus on school work. I’m very glad to have this added positive influence as my son enters the critical middle school years. The travel from out of town to participate in this great program is well worth it. As an adult over 40 with a learning disability, I have benefited tremendously from my experience at Hansoo Taekwondo Academy. Starting to learn something new in an environment where traditional learning aids, such as note taking, are not allowed required me to exercise my mental capabilities far more than I ever expected. I’m now finding my ability to recall information improve at work and at home as well. As expected, my physical strength and flexibility has also increased as training has advanced. Master Chasse is a passionate instructor who is very involved with his students and has a dynamic way of teaching the art of Taekwondo. Over the course of my training at Hansoo Taekwondo, I have become a more disciplined and patient student. These attributes have helped me in school by allowing me to concentrate and to assist other students. I choose to train at Hansoo Taekwondo Academy because of Master Chasse’s dedication to his teaching of the art of Taekwondo. Making this decision to train with Master Chasse has been one of the best choices of my life. 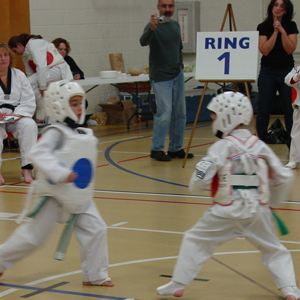 I could not imagine how different of a person I would be had I not started taking Taekwondo. The difference in my discipline, attention span, respect, and self control was extremely apparent. Hansoo Taekwondo has also moved me to improve myself constantly and in any situation. Master Chasse is very knowledgeable and has been a role model to me ever since I was a white belt. We’ve been so lucky to be able to have trained together as a family of 4 – training together allows us to keep each other committed. The school is great for adults, teens, and children. The TKD for ASD program which I have assisted in has grown so much in the past 6 years, and it is exceptional! It has helped me improve as a student and I’ve been able to share my knowledge with others as I learn from them. I never stop learning. Hansoo Tae Kwon Do has given me the opportunity to develop physically, mentally, and emotionally since the age of 6. Now entering my senior year in college, I am grateful to have had the support and influence of Master Chasse as well as the camaraderie of my peers at Hansoo. I have grown to be a much more self-confident and focused person thanks to the dedication and perseverance required of me during my training. Seven years ago I was interested in learning martial arts. I chose Hansoo Taekwondo because it was not only about advancing to new belts; it was about developing as a person. I soon became part of a community that tested my physical strengths and helped me believe in myself. 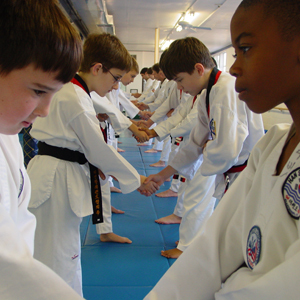 Taekwondo gave me the courage to raise my hand in class and challenge myself on the soccer field. I learned the qualities of bravery, respect, and humbleness. I come in to every class with a smile on my face because I know that I will either learn something new or teach a skill. As well as learning Taekwondo techniques, I have also matured as a person. Over my time in Taekwondo, I have grown in several ways. One is physically. Over 9 years, of course I’m going to grow, but Taekwondo has made me much more athletic than I would have been otherwise. I have also become much more mature and in my view of Taekwondo as well as in school and social relations. Taekwondo has also become more important as a part of my life rather than as an extra activity. This has caused me to take other things, like school, as seriously as I take Taekwondo. I don’t know where I’d be now without Taekwondo. This makes it interesting and helps engage me in the class. He also applies the techniques we learn in class to real life situations. Training for 9 years have given me the responsibility of someone of a much greater age. By putting me in situations where I am either not comfortable in or where I need to be more mature and responsible, I have grown through training. Master Chasse has helped with this change by slowly edging me in to these new situations. His guidance has brought me from an immature 7 year old to a mature and responsible young adult. Training under Master Chasse has excelled and pushed my growth into a young adult. I have brought all three of my boys to train at Hansoo TKD over the past 9 years. Week after week, year after year the children want to keep coming. They get a sense of pride, satisfaction, and challenge all at the same time by training here. Their maturity I feel is far beyond their peers, influenced by the discipline and sense of self that Hansoo gives them. I have seen Master Chasse get things from my 6 year old children I would never have expected; attention, interest, and even focus! I am very glad my wife and I made this as a part of their lives. What other teacher can be with a child from 1st grade through high school? I have seen something special and unique about the bond that M. Chasse forms with them. That relationship goes deeper than any coach or any school teacher. He personally takes an interest in each child’s development, and gives each child something individual for their personal growth. M. Chasse knows and understands my children for who they are. My children get far more than physical activity here; Hansoo is a place where my children can grow and mature as a person. I did not think that as a 40 year old man with a professional career, wife and three kids I had much more growing to do; and I was so very wrong. I have developed physically, mentally and emotionally though Hansoo. I am stronger, more flexible, capable of things I would not have imaged. I can be intensely physical there, but also quiet and focused. Hansoo TKD is my calm place, my respite from the rest of he world, where my mind can be clear and peaceful.